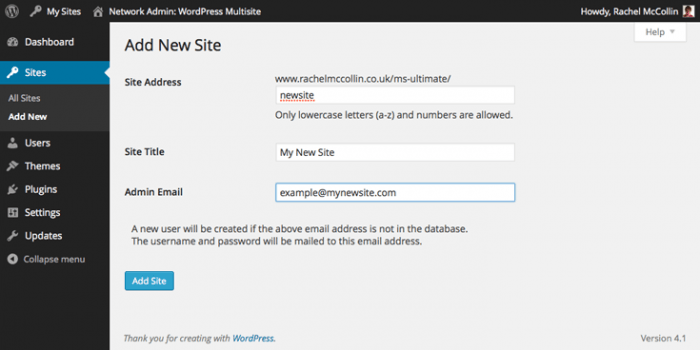 This is second article of Lets start with the ultimate guide to wordPress multisite. You should read the first article to start from the beginning of the ultimate guide to wordPress multisite. 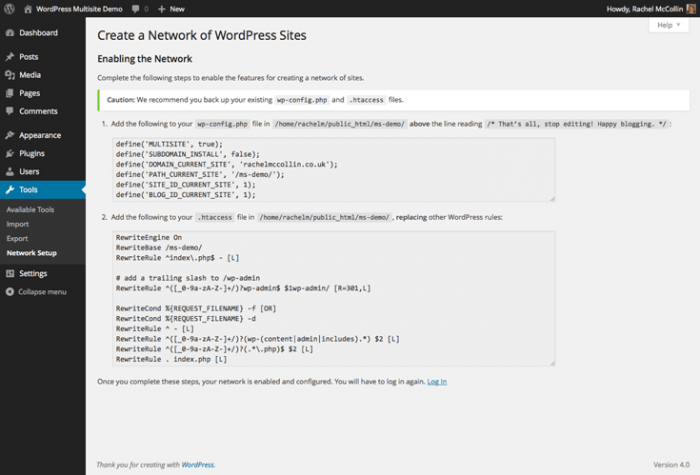 Activating Multisite when you install WordPress involves a few extra steps. Firstly, you need to install WordPress and allowing a network. 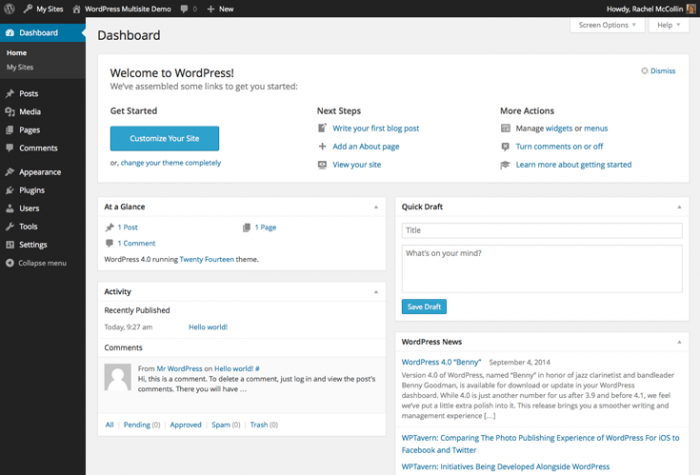 Install WordPress in the normal way. Download WordPress and use the ‘famous 5 minute install’ to install it on your server or local machine. 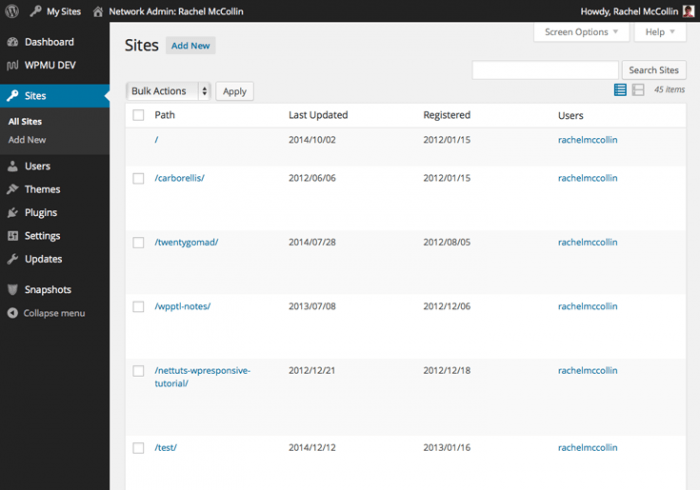 In the WordPress admin, go to Tools >Network Setup. You’ll be prompted to choose subdomains or subdirectories for your installation: choose the one that works for your network. Edit the title of your network and email address of the network administrator when prompted, or leave them as they are. The final step is to copy some code provided by WordPress into your wp-config.php and .htaccess files. If you’re converting your existing site to a Multisite network, you follow the same steps as above with one exception: you won’t be given the option to select subdomains or subdirectories. If your site has been in existence for more than a month, you’ll be forced to use subdomains. Now your network is in place and running just one site, which is the man site for the network. This site is no different from the other sites which will be added to your network: it has the same admin screens and the same permissions. Let’s start by creating a site. You can create sites manually or you can install a plugin that lets users create their own. I’ll cover how you do this with a plugin later, but first, here’s how to create a site manually. You can also create a new site from the front end of your main site, using a plugin. I’ll look at some plugins for Multisite shortly.